Slow Cooker Mac and Cheese is perfect for an easy summer dinner, and this can cook in three hours! Click to see The BEST Kid-Friendly Slow Cooker Dinners! 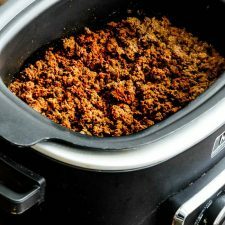 Click here to see 25 Amazing Kid-Friendly Instant Pot Recipes! For Friday Favorites we spotlight past recipes that you may have missed, and if your kids want Mac and Cheese even when it’s hot outside, you can make it in the slow cooker and keep the kitchen cool! And I’m discovering that lots of cooks who love the slow cooker especially love it in the summer, when you can use it to “bake” things without heating up the house. This Slow Cooker Mac and Cheese from Real Mom Kitchen is something Laura recommends as a summer meal for that very reason. 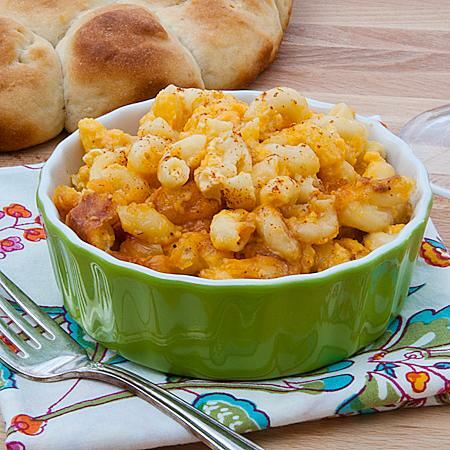 Get the complete recipe for Slow Cooker Mac and Cheese from Real Mom Kitchen. Use the Index Page for Pasta to see all the slow cooker or pressure cooker pasta recipes that have been featured on this site. 20 ounces of cheese for 8 ounces of pasta? That's 2.5 ounces of cheese for every ounce of pasta. Does that seem excessive to anybody else? Leo, that sounds like a lot of cheese to me. Laura's recipe originally came from The Food Network, which is not known for their healthy food. I think it would be good with a lot less cheese, and maybe a combination of low-fat and regular cheese too. It is very yummy, but don't cook too long.. Great if you don't want to heat the oven.